Our research projects allow us to better understand the humpback whale population and the results of these projects are a very important tool to generate proposals for the conservation and protection of humpback whales and their environment. One of the most important conservation projects right now is the Banderas Bay Humpback Whale Disentanglement Network. 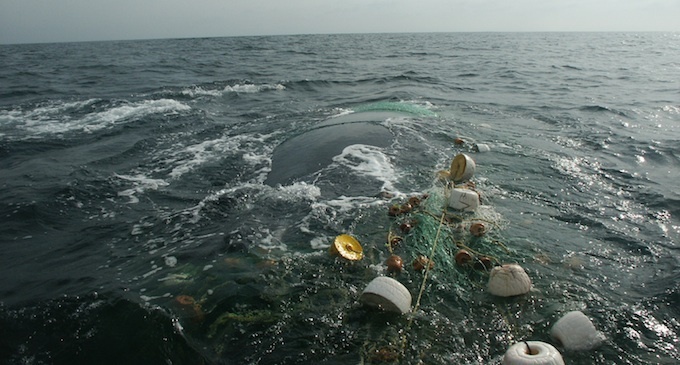 Interaction with fishing gear represents one of the most significant threats to whales worldwide. In order to address the crisis, Mexico created the Whale Disentanglement Network: RABEN (Red de Asistencia a Ballenas Enmalladas). RABEN is an interagency team of people trained to perform rescues of whales entangled in fishing gear. 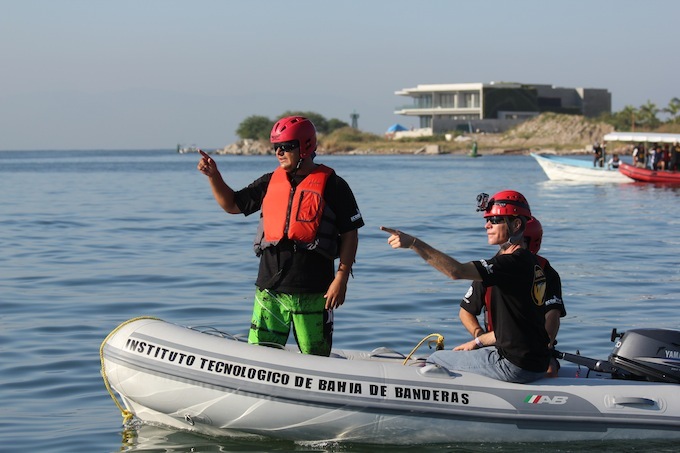 RABEN network comprises 15 trained teams of disentanglement experts with 180 members along the MexicanPacificCoast and Baja CaliforniaPeninsula all equipped with specialized gear to assist in the rescue of entangled whales. Team members may vary accordingly to each region, but usually teams include personal from the Mexican Navy, Harbour Masters, API, Wildlife rangers (PROFEPA), FONMAR, whale watching tour operators, Universities and Non Profit Organizations. RABEN follows the International Whaling Comission (IWC) big whale disentanglement protocol and rescues are conduct from a boat (no rescues are done scuba diving or snorkeling). This protocol has been tested for over 20 years and it guarantees the safety of staff and ensures minimal impact on the whales. RABEN history starts in 2004 with the first successful team disentaglement that took place in Banderas Bay (Puerto Vallarta) and in 2006 David Mattila (NOAA) gave the first training workshop, since then RABEN Banderas Bay worked on their own capacity building, building their own tools and self training yearly, since then the team has attended 26 entanglement reports and successfully released 10 whales. Bandera Bay RABEN team is conformed by the Puerto Vallarta Navy, API, Harbour Master, Instituto Tecnológico de Bahía de Banaderas, Ecotours de México, Explora Vallarta, Vallarta Adventures, Wildlife Connection and ECOBAC. This Network is the first organized rescue group in Mexico and one of the first ones in the North Pacific. Since 2012 Ecology and Conservation of Whales (ECOBAC a NGO) coordinates the National Network and has been receiving support from CONANP (Mexican National Park System) for training and gear in order to build a National Network. In 2012 two big whale disentanglement workshops and one stranding workshop were done with collaboration of the IWC; David Mattila (IWC), Scott Landry (CCS), Michael Moore (Woodshole Oceanographic Institute) and Frances Guland (MarineMammalCenter) conducted the workshops. In 2013 training conducted by ECOBAC took place and in 2014 again in collaboration with IWC three disentanglement workshops took place in three different locations, each workshop was conducted by a different instructor: David Mattila (IWC), Scott Landry (CCS) and Ed Lyman (NOAA). Till 2015 RABEN has attended 94 entanglement reports and released successfully and following IWC protocol 43 whales (37 humpback whales and 6 gray whales), the other 51 reports were either not able to release the whale, to relocate it or to confirm the report. RABEN will work to improve documentation, communication and the database. For 2015 ECOBAC and CONANP will continue reinforcing capacity building of RABEN. We are working towards improving documentation and communication in order to be more efficient in future prevention of this problem. Whale and fishing gear interaction represent a serious problem to both fishermen and marine fauna. Whale rescue is not the solution to the problem, it only represents a small help for the whales. The ideal would be to find a solution where fishing gear poses no threat to marine wildlife and fishermen don´t lose their gear. Right now we are focusing our efforts towards better documentation so we can work towards prevention in the near future. 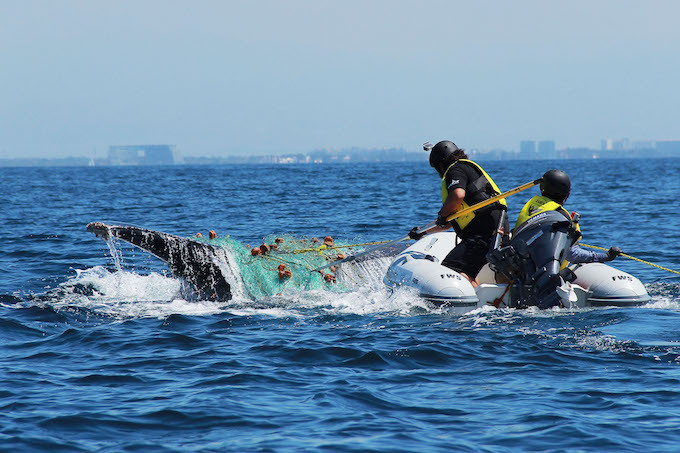 Meanwhile we can be proud that in Banderas Bay we have a well-trained and organized team that can assist whales that are entangle in fishing gear. If you see an entangled whale in Banderas Bay please report it by radio to Puerto Vallarta Navy or to the Port Master.